Joanna Fincham and Rob Hodges, who found love together on rural dating show The Farmer Wants a Wife, welcomed their daughter Maggie at the end of last year. Maggie’s big sister is named Darcy, aged 3; Darcy’s birth was announced on the blog. Joanna has written an inspirational memoir called Out of the Blue, about her experiences of finding love and moving to the country, overcoming severe depression and bulimia in the process. 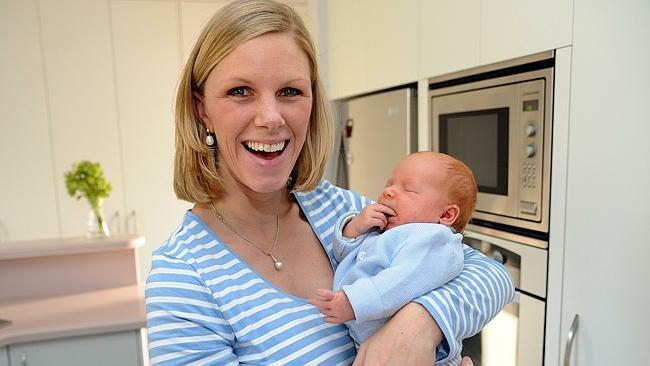 Masterchef 2013 contestant Lucy Wallrock, and her husband Sam, welcomed their son Oscar last month. Lucy is originally from Britain, and has just published her first cookery book, called Simply Sweet. It’s a collection of simple baking recipes.